Join the Houston Chapter of the Cadillac V-Club for our annual holiday dinner event. 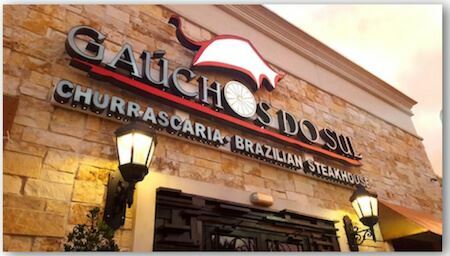 This year the banquet will be held in Houston on Saturday, December 8 at 4:00 PM at Gauchos Do Sul which is a Currascaria/Brazilian steakhouse. The cost of your meal and and a non-alcoholic beverage will be compliments of the Cadillac the V-Club and Sewell Cadillac of Houston. All V-Club members with a single membership may bring 1 guest for a nominal guest fee and if you have family membership, you may bring your immediate family members at no cost (spouse and children). V-Series owners who are prospective members may attend at no cost and may bring 1 guest. We have some door prizes to give away to all members who have RSVP'd and every V-Club member who has RSVP'd to attend one of the local Chapter holiday event celebrations this year will be entered in the drawing to win a prize.